Billions of searches are being carried out on search engines like Google, Yahoo, Bing and other social media sites by people at different corners of the world. We have talked about and are talking about the most searched keywords on Google however there are so many searches that are dying on Google now. Let’s go ahead and talk about such searches today. Check out the following list of 5 searches that are becoming extinct on Google. 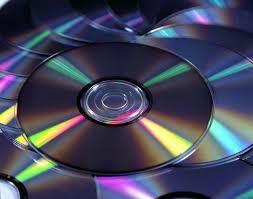 Invented by James Russel in 1965, compact disc is a popular form of digital storage media used for computer files, pictures and music. It used to be of great use before the pen drives and other file storing devices were devised. People now find it easier to carry their data in pen drives than in compact disk and this is the reason why its search on Google is dying these days. Founded in august 2003, Myspace is a social networking service with a strong music emphasis owned by Specific Media LLC and pop music singer and actor Justin Timberlake. 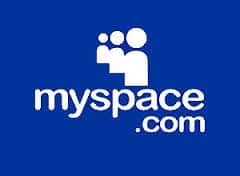 From 2005 until early 2008, Myspace was the most visited social networking site in the world, and in June 2006 surpassed Google as the most visited website in the United States. However in April 2008, Myspace was overtaken by Facebook in the number of unique worldwide visitors, and was surpassed in the number of unique U.S. visitors in May 2009, though Myspace generated $800 million in revenue during the 2008 fiscal year. Since then, the number of Myspace users has declined steadily in spite of several redesigns. People now aren’t searching for Myspace in Google anymore. 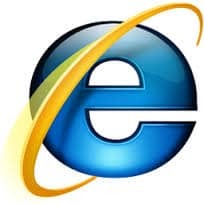 Started in the year 1995, Internet Explorer is a series of graphical web browsers developed by Microsoft. Internet Explorer is one of the most widely used web browsers, attaining a peak of about 95% usage share during 2002 and 2003 however is usage share has since declined with the launch of Safari (2003), Firefox (2004), and Google Chrome (2008). Born on December2, 1981, Britney Jean Spears is an American recording artist, singer-songwriter, entertainer, dancer, actress, and occasional author. Spears’s first and second studio albums ‘Baby One More Time’ released in 1999 and ‘Oops! I Did It Again’ released on 2000 became international successes, with the former becoming the best-selling album by a teenage solo artist. However, at present people are no more searching for her and her search on Google is on its last legs. Born on February 17, 1981, Paris Whitney Hilton is an American heiress, socialite, television personality, businesswoman, fashion designer, model, actress, producer, author and singer. She is the great-granddaughter of Conrad Hilton, the founder of Hilton Hotels. Her popularity went higher in the last decade however people are not searching for her anymore on Google. So, these were the five most basic reasons for investing in Google advertising. There are many others in the queue that will compel you to invest in Google advertising in order to have better traffic, better conversion and eventually better business.